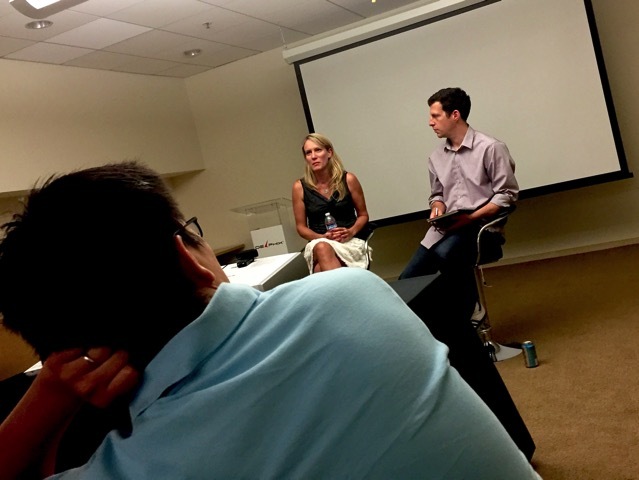 Above, LinkedIn's Head Designer Amy Parnell interviewed by Adam Leventhal CTO of Delphix. The recent Delphix Tech Talk series featured Amy Parnell, Director of User Experience at LinkedIn. Adam Leventhal, Delphix CTO interviewed Amy on several key topics that helped surface some of the best practices she has developed at LinkedIn over the five years she's worked there. She leads more than 60 designers. - Leaders should not be afraid to say they were wrong about something. Recognize it and move-on. It allows team members to pursue "intelligent" risks. - Leaders are not expected to have all the answers -- use your team as an advisory board before making a decision. - Your team has first rights to your time and attention and you need to provide as much as they need. Good managers need to be great listeners. She acquired the skills of active listening similar to those used in therapy to help her interact with team members. - Cultural fit is very important in recruitment and everyone in the department has to be comfortable with new people because they might be working with them on the same team in the future. Getting along is an important skill. - There's often a misunderstanding between designers and engineers because each has a different agenda and goals. - When doing A/B testing LinkedIn waits for a few days on new changes to see if users are able to adjust rather than testing immediately. - There's a move away from a one-user interface and message approach at LinkedIn. It is creating mobile apps for specific sets of users such as recruiters, job seekers, etc., It found that targeted apps based on events such as looking for a new job improved user experiences and engagement with LinkedIn's services. The challenge now is how to do that with the desktop product. - She is glad that the gender imbalance issue in Silicon Valley is getting more attention and she hopes perceptions of gender bias won't get in the way of performance reviews and team collaboration. - She joked that she joined LinkedIn because she didn't like the design of her page. Watch the video for lots more great advice from LinkedIn's Head Designer Amy Parnell. The Delphix Tech Talks series is organized by Darci Moore. 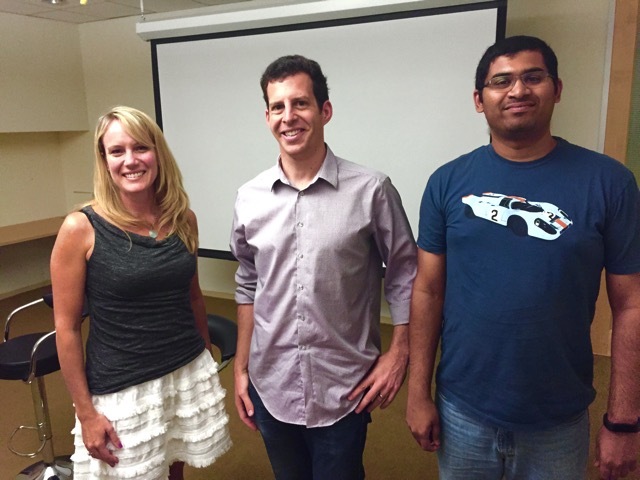 Below: From Far right to left, Rahul Nair, senior engineer at Delphix was a former colleague of Amy's at Yahoo! and introduced her to Delphix; Adam Leventhal, and Amy Parnell.